A father-daughter relationship the most special pure bonding, just like any parent-child bonding. We learn so much from this bonding that stays with us lifetime. 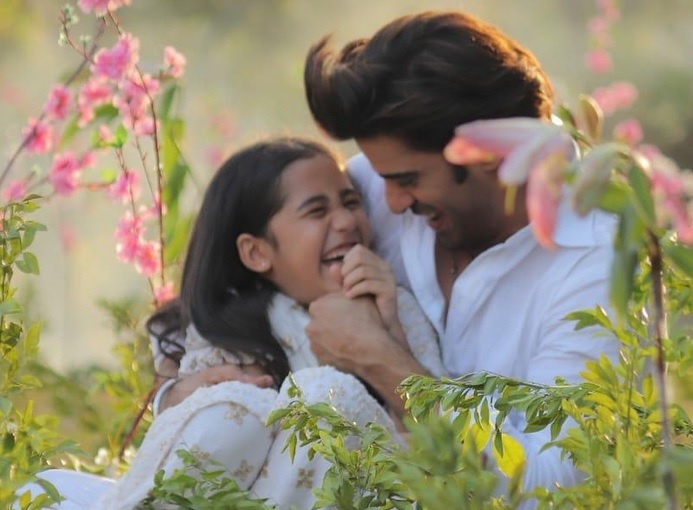 Take a look at 20 best father-daughter moments from Kullfi Kumar Bajewala’s lead actors Mohit Malik and Aakriti Sharma which will make you smile watching them two bond as their on-screen characters. From setting a Flower Headband Crown Floral to making Insta Videos. Captured glee & innocence in one frame by the shore. Check Out Shaheer Sheikh's New Show's Poster Here! Kullfi Kumarr Bajewala : A Shocker Awaits Kulfi, Will The Twist Shatter Her? NEW PROMO!